What is the meaning of lumbar stabilization and why is it important? 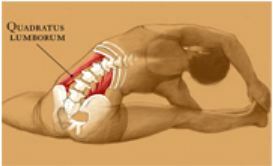 It is important to have a stable lumbar spine (low back) in order to prevent low back pain, dysfunction and disease. The lumbar vertebrae need to stay in normal alignment. By this we mean not too much forward flexion, backward extension, side bending or rotation.